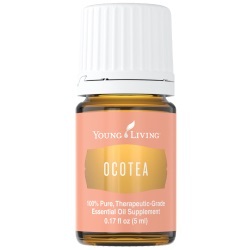 Ocotea Essential Oil is a unique therapeutic grade oil that helps aid the body's natural response to irritation*. From the cinnamon family. Ocotea also has natural cleansing and purifying properties. Ocotea oil has a very low amount of cinnamaldehyde (less than 5%) unlike its cousin cinnamon that can contain up to 50% cinnamaldehyde.This is the compound that creates skin sensitivity and may produce toxicity if used in large does on a daily basis. Did you know that the Ocotea tree is distinctively separated into male and female trees? Yes, the reason...it is only the female trees that produce foliage that is suitable for therapeutic grade essential oil! Isn't that fascinating? The male trees don't produce any therapeutic essential oil! Did you know that Ocotea essential oil known to have some of the highest levels of alpha-humulene in the world? Yes, Copaiba (Copal Essential Oil) comes close to Ocotea essential oil. Alpha-humulene is known for its ability to minimize the body’s response to irritation. The oils that are coming out of the Amazon and specifically Ecuador continue to amaze me. And continue to help me through many health and spiritual challenges. If you enjoyed reading this, definitely check out Palo Santo, Copaiba, Rue and Eucalyptus Blue! They are all from that neck of the woods! That section will tell you how to use Ocotea essential oil and what to use it for. It will also provide you with some fun suggestions, safety precautions for you and your animal! As I receive new tips and testimonials for Ocotea oil they will be added to the page, so check back frequently! Want to Purchase Therapeutic Ocotea Essential Oil? Buy Ocotea Essential Oil Here! Why is this information important? The Ocotea genus belongs to the family Lauraceae that has over 50 different species; and some are considered toxic. Also, Ocotea quixos is a very different species of tree from Ocotea cymbarum; but I have heard them used interchangeably by a common name of Brazilian Sassafras. This is incorrect and Ocotea cymbarum should not be used as a dietary supplement. However, I have seen is sold under the “Oil of Ocotea” and the generic name Ocotea, so please be careful! You may also hear the name Ishpingo. Ishpingo refers to the native tree flowers of the Ocotea tree. The name was given by the Quechua people because the flowers only blossom every two years. So Ishpingo refers to the oil that is distilled strictly from the flowers. Remember, even though species may share some similar properties they are not at all the same. Therefore, just knowing the common name of a plant is usually not enough information. So, always purchase your essential oil by the genus species and the common name! Did you know that Ocotea was used to aromatize cakes and sweets over 500 years ago? What are the Plant Properties? Cleansing and supporting. What are the Documented Benefits and Uses of Ocotea? Ease stress; may minimize helps aid the body's natural response to irritation*; supports healthy digestion including satiety (feeling of fullness)*. What is the Aromatic Affect on the Mind? Its warm and spicy aroma is mentally relaxing. What is the Spiritual Influence? Ocotea essential oil has been honored as spiritual oil for many years. It is known to cleanse or purify the spirit. And today it is still used in purification rituals in the Amazon. What Chakra is Affected? The sacral and solar plexus chakras. What are the Safety Precautions? 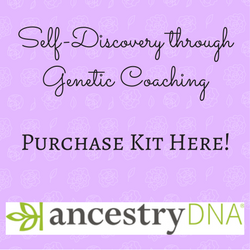 First, only use therapeutic grade essential oils! Ocotea essential oil has no known contraindications. It is Generally Regarded as Safe (GRAS) by the FDA. Repeated use may result in contact sensitization. Dilution recommended. Did you know that the native cultures would steep the leaves and fruit husk in water to benefit from the Ocotea? Yes, they knew the benefits far before we did and they still drink it as a tea to purify the soul and cleanse the body. Did you know that the Ocotea Tree grows in the Amazon Basin of Ecuador and from sea level up to 1500 meters above sea level? Go to the Oil Shop! Buy Ocotea Essential Oil Here! Massage a drop or two along with Copaiba to release minor irritation.